Inception is a 2010 science fiction film written, and directed by Christopher Nolan. Inception stars Leonardo DiCaprio as a professional thief who steals information by infiltrating the subconscious. He is offered a chance to have his criminal history erased in exchange for a seemingly impossible task, Inception: the implantation of another person’s thought into a target’s subconscious. Did you see the world-bending special effects in Dr Strange? 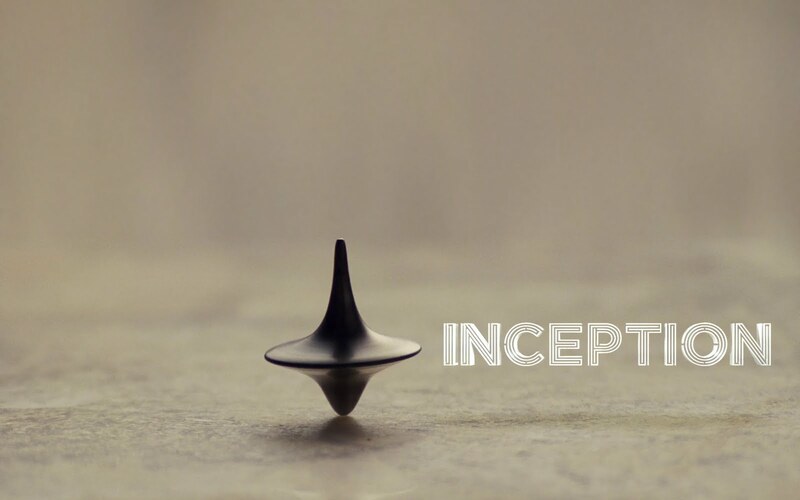 Christopher Nolan pioneered that 10 years ago with Inception. Director, Christopher Nolan has literally a perfect track record. Every one of his movies are universally adored by audiences and critics. Since Batman Begins, Hans Zimmer has scored all of Nolan’s movies. Inception, has (arguably) Hans Zimmer’s greatest score. The finale, Time, is a masterpiece. I performed Time years ago on this blog, but it was due for a refresh. I’m a better now, at everything, across the board. I wanted to properly honor this song with a much better performance, a new transcription, and superior audio track. Please explore my Hans Zimmer archive. I’ve performed all of his greatest music on guitar including: The Dark Knight Rises, Interstellar, and Gladiator. Christopher Nolan’s new movie, Dunkirk, is out this summer 2017. Hans Zimmer also does the music. You can watch it the trailer here. For Time, I used a cheap Alvarez AC65. I use this guitar for ultra-low, and alternate tunings. My strings (for this guitar) are Savarez Yellow Card super high-tension strings. This way the guitar performs normally in very low, or crazy tunings. My camera is a Zoom Q8 with a SSH stereo Shotgun microphone. I use Acon Digital Acoustica to edit the audio, and Filmora to edit video. You can find a list of all of my gear with links here. Time is not difficult to play. Hans Zimmer uses a very simple, and brilliant chord progression. Eventually the melody weaves into the chord progression, and it sits well within the established chord shapes. The guitar tab for Time is three pages long and spaciously written so it’s easy to comprehend. I’ve divided the guitar tab into: Intro, Section 1, Section 2, and Section 3. My order of play within the guitar tab is: Intro, Section 1, Section 2, Section 3 – Section 2, Section 1 (End). Simple. You’ll notice that I’m driving the bass notes with my thumb. This is indicated with dots (. . . . . . .) following each chord. In this case, there are seven dots, meaning you’ll play the bass note seven times following the chord. However, the timing is really: chord 2 3 4 5 6 7 8 – chord 2 3 4 5 6 7 8 – chord 2 3 4 5 6 7 8. So on and so forth. Evan, this is probably one of my favourites that you’ve done to date. Excellent job.. you really capture the flow of the track and gave it a good vibe. Thanks for commenting Ryan! This is one of my favorites too. I wasn’t sure how the 8th note thing at the end would work, but I’m glad people seem to like it. I appreciate the interpretation! I’ve toyed around with other tabs of ‘Time’, so I was thrilled to see you post this piece!! It is one of my favorites over the last year or so; listening to it evokes some strong emotions. The live performance on youtube is great. However, the best part of the post is your reflection on the trials and tribulations of your blog. As I read, I couldn’t help but notice how every paragraph rang true about every aspect of life itself. Seeing someone else write about another’s personal philosophy is very refreshing and fortifying. P.S. In my opinion, ‘Sinking Ships and Wooden Kings’ is pretty solid! Thanks for the great comment Chris! It’s actually quite therapeutic for me to write about the trail and tribulations of this blog and my EP. I figure that everybody else has the same anxieties about failure, so why not speak up about it! I wanted to learn how to play guitar for 5 years now, but never dared to ‘just do it’. Now, I bought my first guitar two days ago after I discovered your blog. I picked ‘Time’ to be my first actual track to learn because I was highly moved by how well you played it. I am making slow progress, my fingertips hurt, yet I enjoy every second of it. You are a true inspiration, thank you! Hi Chris! Thanks for the great comment, I appreciate that! It’s probably hard to imagine not playing guitar now! I wrote that post over a year ago, I believe. It’s not the best writing, but it articulates the art of anti-practicing — which I wholeheartedly believe in. Stay in touch, and let me know if you have any questions. Friend me (or my page) on Facebook if you get a chance, and feel free to message me there too. I think that article hits the nails head and it also reflects my point of view. It might be early to say in my case, but by doing it this way (let’s call it live. play. play.? ;) I have the feeling to make much better progress, cause I play with joy, not like “Oh, I have to play on for 20minutes, then I can stop…”. When I realize that the easiest things don’t work out, I let it be and try later, which always grants a better result, always. I don’t have Facebook (anymore), yet a ton of silly questions I don’t even dare to ask at this point and in public though, haha. However, I will definitely stay in touch and follow your work very closely since I already(!) learned so much from you. Excellent! You get the idea then. Silly questions are fine, and I’d be happy to answer them. I approve all the comments on the blog before they post, so I won’t make public anything “silly questions” you might have to ask. Ah, that is good to know, both the privacy thing and the green light for any questions, as a total beginner I really appreciate that! As a matter of fact, I was able to solve the problem I had with this track on my own… One should not try to play chords standard tuning when the guitar and song is in drop D… oh boy. The rest is practice and convincing my fingers to do crazy stunts like the E, which is incredibly hard for me for some reason, ha. Nice work and thanks for the tabs. A small request, if you do a version of the link below, that be great. Its of the soundtrack of fast and furious, letty and doms theme. Created by by Brian Tyler.